Buxton has been a popular holiday destination for many centuries making it an ideal location for an English country holiday cottage. 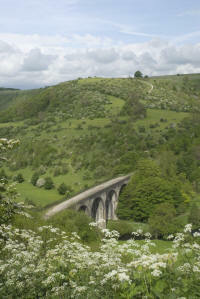 Located at the heart of the Peak District in Derbyshire there is stunning scenery and magnificent architecture. 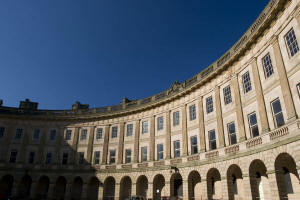 There are lots of good shops and a thriving arts scene, it also home to the world famous Buxton Spa Water. 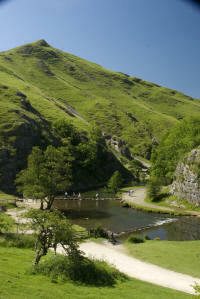 Derbyshire is a diverse county with a city situated in breathtaking beautiful Peak District. For many years industry and holiday leisure have been working hand in hand. 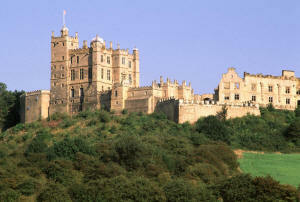 The city of Derby is steeped in history and is well worth a visit whilst the county of Derbyshire has some of the most beautiful countryside in the UK. 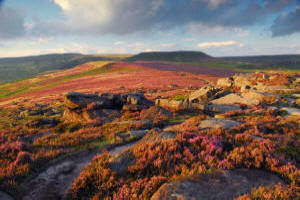 At the heart of the Derbyshire lies Britain's first National Park. 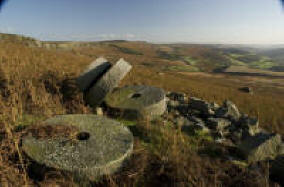 It was created to preserve this beautiful area - for future generations and for today's visitors to enjoy. 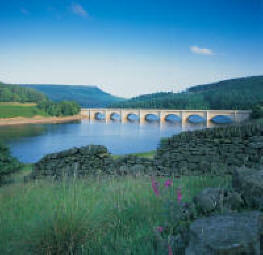 Whether exploring the great outdoors, admiring the scenery or just relaxing you can explore the Peak District and take away some great memories! 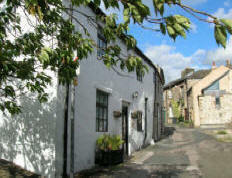 - not a "right angle" in the cottage to be found! Farriers holiday cottage is ideal for those who want a cottage to get away from it all - without being in the middle of nowhere! 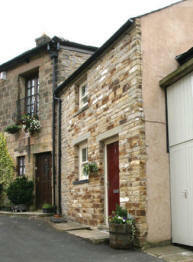 Situated on a quiet side street in Buxton close to the Market Place, convenient for pubs, restaurants, local shops, parks and the theatre, also ideal for touring or walking the wonderful Derbyshire countryside, see the pretty villages and stately homes of the surrounding Peak District. Farriers holiday cottage is a comfortable two bedroom property that sleeps four - it is deceptively spacious and light with private parking. A contemporary re-making of a former cottage, architect-designed and retaining some historic features in a modern setting, with traditional character and all the facilities you need for a relaxing stay. A convenient and interesting location which caters for all - whether to get out and about walking the peaks and moors - or just sitting in the large bay windows and watching the world go by!! This 1st floor flat provides a clean comfortable holiday location to stay in this historic town - it has views of Buxton's impressive buildings and surrounding hills into the Derbyshire Peak District.